Your contribution to our project through GlobalGiving has a huge impact on the educational support for the rural youth of our locality at large. We see this as a new beginning and believe more progress is possible which upshots a future full of promise and hope. We take this wonderful opportunity to sincerely thank you for your continued support in this project .Your kindness and generosity has enabled to reach out to the students who are in need of our help. Manivasagam’s father passed away when he was 3 years old. His mother is working as a coolie labour for a daily wages. . His sister is in grade 9. His mother is the breadwinner of the family. Due to financial shortcomes, Manivasagam was demanded for early employment to support the family. In spite of their hardships his mother was interested in educating her kids. “I was very interested in pursuing Hospitality Course but the only drawback was the distance from my residence to the institution which I felt will be an added burden to my parent. The orientation given by SPPD team , “Earn while you study” had drawn my interest to this institution, and now I’m pursuing Hospitality Course. I’m thankful to the donors for their support. 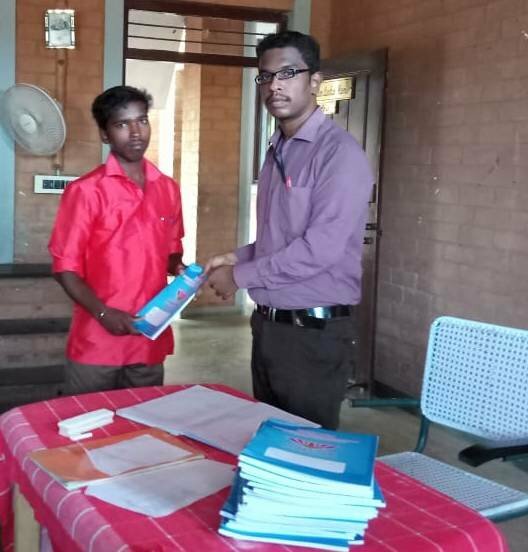 The free lunch, travelling allowance and educational material support offered has considerably lessened a part of the educational expenses to be met out by me,” says Manivasagam. Dinesh’s father is milk vendor and having small barren land in his own village. His father is the breadwinner of the family. His elder sister married with support of his father’s hard earned money. The family lost their elder son in a road accident. 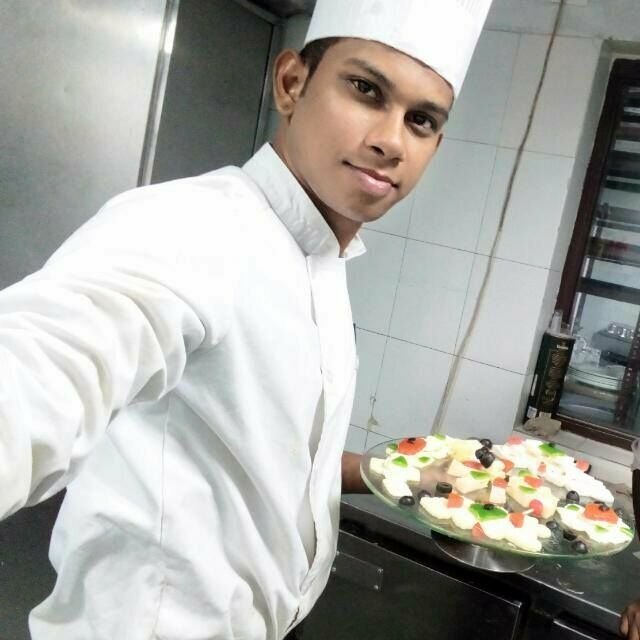 After completing his schooling, he came to know about the Hospitality courses and he enrolled himself. During his study period, he was provided with free lunch, travel, study material and accident insurance with support of Global Giving donors. He is known in the internship programme in Bangalore. Thanks to the generous people who believe our project is progressing positively and for helping out our youth in grading themselves as skilled trainees. Rural and Semi urban Youth communities, after completion of their school final they tend to go for labour work or any other daily wage work. Due to our intervention among the youth communities about skill education programme and acquiring employable skill development, they are intended to go for skill and vocational education. Besides, SPPD implements Noon Lunch aid to the campus students who are hailing from rural and semi urban areas, with support of “Global Giving”. Travelling Allowance is also being provided to the students. These kinds of support would help them to avoid regular attendance with any dropouts and will lead them for good settlement in the right employment. Mr.Sanjaykumar’s father was expired due to illness and his mother leads the family for their bread and children study through daily wage work in Groundnut processing factory. The poorest family having a dream on Mr.P.Sanjay Kumar to rescue from the jeopardized situation. 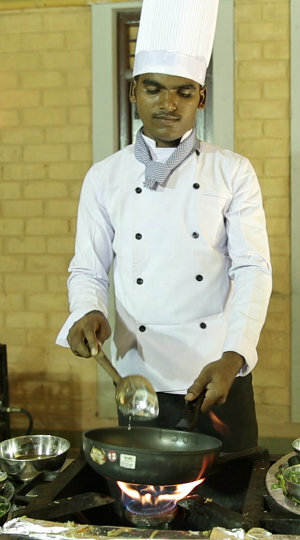 He joined the two year diploma course in Hospitality. The main reason why, he has joined in the course to earn instant remuneration after completion of the course, since it is meant for highly job oriented and skill diploma course. Besides, job opportunities are plenty in the Hospitality industry. The way he learn will escalate to the immediate next level i.e, he will be able to support for his family survival of the fittest. He was provided with free Food (lunch), travel fare, Uniform, Identity card which reduced the burden of the family and helped to continue his education without difficulties. With continuous training and of more practical learning he gained confidence. We seek your support to fulfill the dreams of such youth and provide them with an opportunity for a better life. This project has provided excellent educational opportunities to the growing youth for holistic growth and development, which will put them on the path toward breaking the pervasive cycles of poverty and also have bright future in their career. Once again we thank Global Giving for the incredible support. To work it out the task among rural youth with even more aspects effectively. Kubenthiran’s father has bedridden the family for a year. Since that period onwards his mother took care of their family. She earned daily wages as an unskilled labour. As though in the hardship, she tried her best to support his son education along with his father’s medical treatment. Day by day, the circumstances seem to be worsening. On that particular situation, SPPD team advice, which on the contrary diverted his interest towards pursuing a skill, and the opportunities that are available just at his reach. We are grateful to all our donors who have accompanied us in this journey by contributing their hard-earned money in supporting these youth to acquire skills. Significant academic journey for the rural youth.. Your contribution to our project through Global Giving has a huge impact on the educational support for the rural children of our locality at large. We see this as a new beginning and believe more progress is possible which upshots a future full of promise and hope. We take this wonderful opportunity to sincerely thank you for your continued support in this project (Educating for 100 poor rural children in India). Your kindness and generosity has enabled to reach out to the students who are in need of our help. Through our programme we have been able to reach this targeted population, poor, less educated, early school drop outs to progress and change their standard of living in this society. For the academic year 110 youth are been enrolled to hospitality courses. The funds raised so far through the Global Giving platform have helped us provide students with free lunch, travelling allowance and their required educational material. Manivasagam’s father passed away when he was three years old. Her mother is working as a labour for a daily wages. His sister is in grade 9. His mother is the breadwinner of the family. Due to financial short comes; Manivasagam was demanded for early employment to support the family. In spite of their hardships his mother was interested in educating her kids. 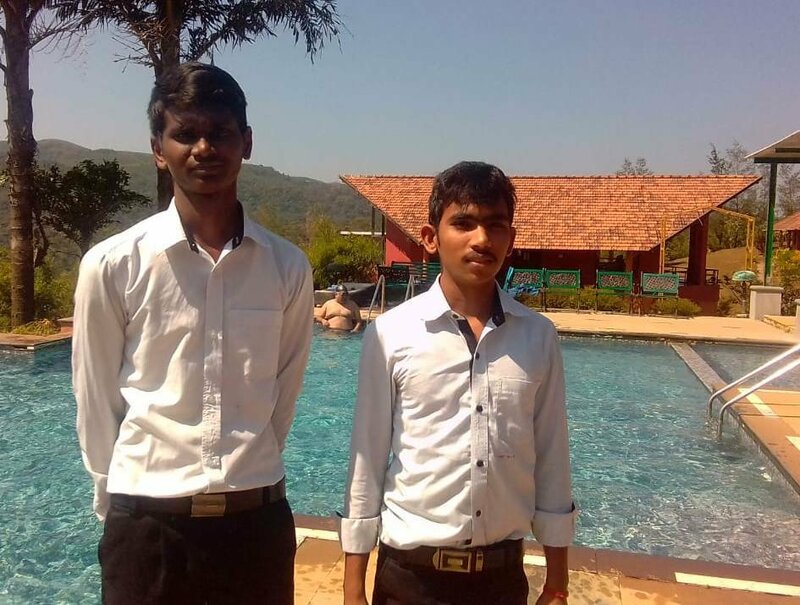 “I was very interested in pursuing Hospitality Course but the only drawback was the distance from my residence to the institution which I felt will be an added burden to my parent. 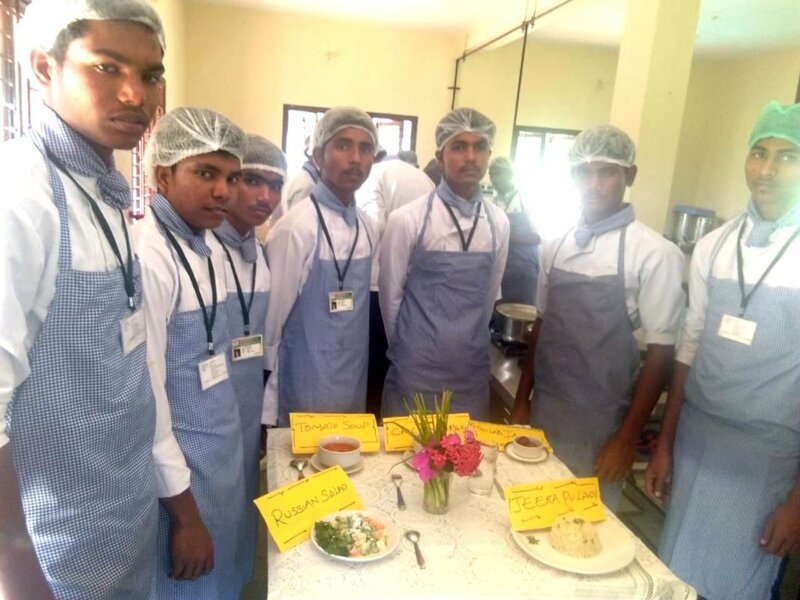 The orientation given by SPPD team, “Earn while you study” had drawn my interest to this institution, and now I’m pursuing Hospitality Course. The students, who are getting education through us, are the youth stopped their education due to the poverty stricken condition of their family and unawareness of uneducated, alcoholic addicted parents. Vision of SPPD is to help those poor students by giving training in skill oriented work and educated by breaking all the obstacles such as mid day Meal, Travelling expenses, Uniforms, inner wears, Note books, Books and other study materials. SPPD made it happen by the generous support of GlobalGiving. Many thanks for the generous donors. Mr.Vinoth family includes himself, his parents, and a brother Jeyaraman. His father is a mason and his mother is a milk vendor to various houses in that village. His brother, who was average in studies, under took a part time job in road side hotel due to his poverty, though not professionally trained, at quite an early age and now owns a small road side hotel. 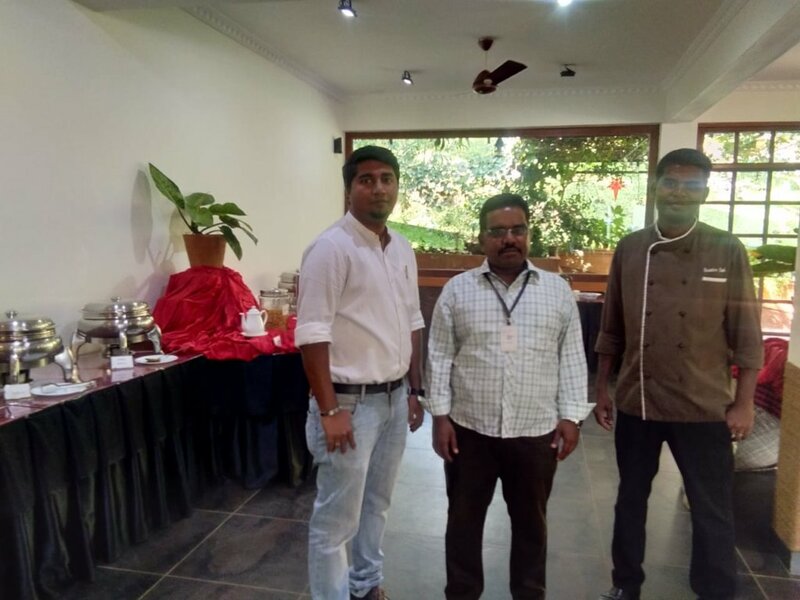 As a part of their regular curriculum, he was also sent for his internship programme at Hotel Thaai Residency Coimbatore, which had served as a learning platform to help him improve his cooking skills. From our side we are continuing to support poor, less educated and out of school youth who are victims of many unfortunate circumstances by offering them an opportunity in skill training in the field of hospitality to enable them become self-reliant. The passport to success is vocational skill and technical training capability. Vocational training programs in rural areas appear most successful in terms of enhancing employability and contributing to the human development. Project Reports on GlobalGiving are posted directly to globalgiving.org by Project Leaders as they are completed, generally every 3-4 months. To protect the integrity of these documents, GlobalGiving does not alter them; therefore you may find some language or formatting issues. If you donate to this project or have donated to this project, you will get an e-mail when this project posts a report. You can also subscribe for reports via e-mail without donating. We'll only email you new reports and updates about this project.